Everything in moderation, right? 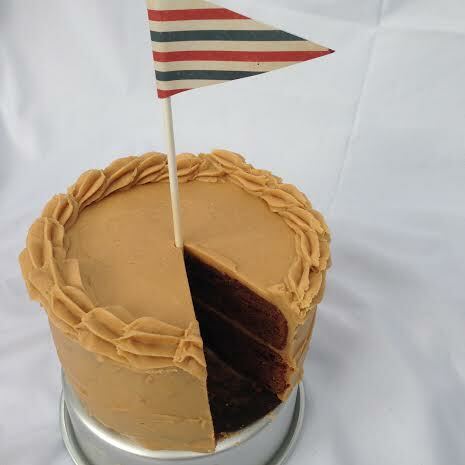 It’s fine to eat a slice of this cake if as long as I balance it out with a hearty kale and cashew salad or something. Here’s the problem..this cake is actually physically impossible to eat in moderation. You’ll cut a sliver off, eat it in a few seconds, and then cut another one. Slivers have zero calories. You go upstairs to distract yourself, but somehow find yourself back in the kitchen, this time cutting yourself a more normal-sized slice. You eat this one quickly, hardly taking time to taste it before you cut yourself another piece, and another. 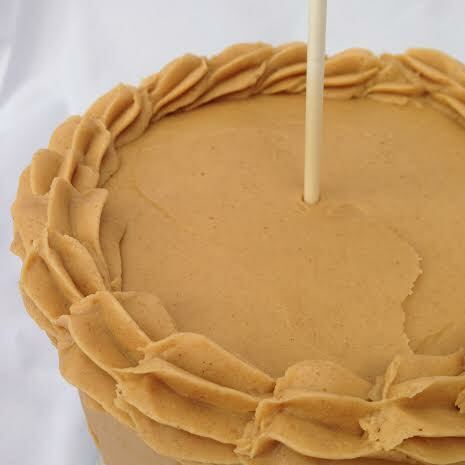 At this point, the cake is drooping, the layers lopsided, the frosting sliding out of place. You’re leaning over the kitchen sink, choosing to ignore the barbaric scene you’ve produced. There’s just a bit of cake left. What does it matter now? Might as well finish it off, and then you can just not eat dinner or breakfast the next day. 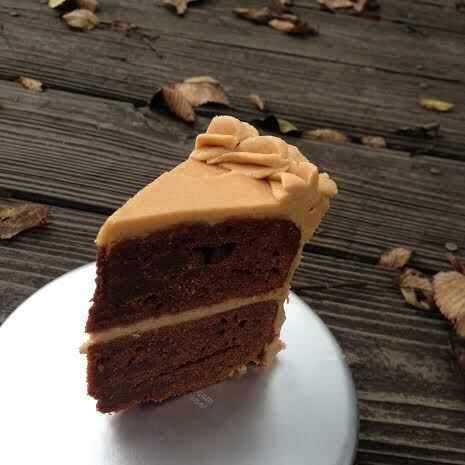 The dark chocolate is just a vehicle for the peanut butter frosting – the real star of the cake. Try to use the exact measurements listed! 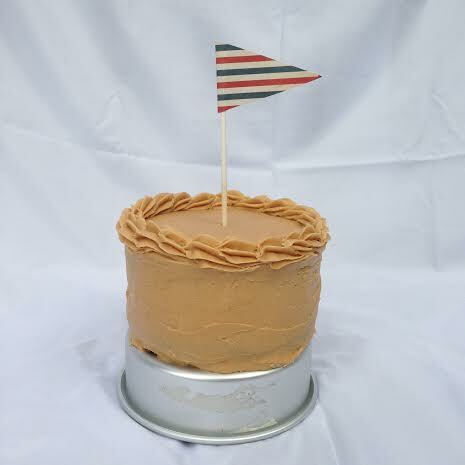 I don’t usually say that, but this is The Best Frosting I Have Ever Made. I doubled Brown Eyed Baker’s Dark Chocolate Cupcakes with Peanut Butter Frosting recipe and baked it in two six-inch pans (I’ve already doubled the ingredients below for you). Preheat the oven to 350º. Grease two six-inch cake pans, line with parchment paper, and grease again. Combine butter, chocolate, and cocoa in a heatproof bowl. Set over a saucepan of simmering water, and stir until melted and combined (you should use a double-boiler if you have one). Whisk flour, baking soda and baking powder in a small bowl to combine. In a large bowl, whisk the eggs with sugar, vanilla, and salt. Add in the cooled chocolate mixture and keep whisking. Sift in a third of the flour mixture, then add the sour cream, then the rest of the flour mixture. Pour into pans and bake for 20-25 minutes, or until a toothpick inserted into the cake comes out with a few moist crumbs attached. For the frosting, beat the powdered sugar, peanut butter, butter, vanilla, and salt in a bowl until creamy and smooth. Be sure to scrape down the sides with a spatula as you work. Beat in the heavy cream until the frosting is silky and light.